A reverse mortgage can be a useful tool to allow cash-strapped seniors to remain in their home. But it can be a trap for the unwary. Reverse mortgages are home loans available to Americans age 62 or older. They allow residents to draw money or lines of credit based on the equity in their home. Borrowers do not have to pay the money back until they leave the home or die. But some lenders have faced legal trouble for promoting the loans as risk free, when they are not. One problem is that these mortgages are often taken out only in the name of the oldest spouse over age 62. When the borrower dies, the survivor becomes responsible for the loan, including payments for property tax, maintenance and insurance. Failure to recognize this responsibility can lead to foreclosure. Seniors should be wary of claims that “You can’t lose your home” with a reverse mortgage. They can and do. 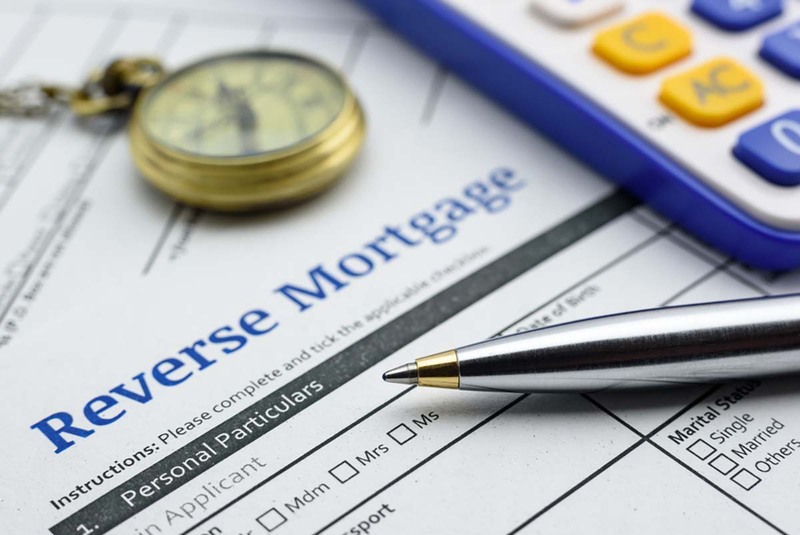 In lenders’ defense, an industry spokesman said the responsibilities owed under reverse mortgages are not much different than for residents who have paid off a traditional mortgage. "If you have no mortgage and you don't pay property taxes, what happens? You lose your home," Peter Bell, president and CEO of National Reverse Mortgage Lenders Association, told Marketplace. "So that's not really the reverse mortgage at blame. That's the failure to meet a basic obligation of property ownership." New federal rules restrict how much home equity can be tapped and raise some upfront costs for the loan. Reverse Mortgage Solutions – Fined $325,000 for stating that consumers with a reverse mortgage “would always retain ownership” and “can’t be forced to leave.” CFPB also found the company misled heirs into believing they would inherit the home after the loan holder’s death. Heirs can retain ownership only if they repay the reverse mortgage or 95 percent of the home’s assessed value. Aegean Financial – Fined $65,000 for making similar claims as the others. It claimed in one ad: “If you are 62 years old or older and you own a house, we have good news for you; you qualify for a reverse mortgage from the United States Housing Department.” Reverse mortgages are commercial loans, not issued by the federal government. If FHA continues to reduce the principle limit along with the high fees it will eliminate many from doing a reverse mortgage. This article is pretty misleading by making it sound like reverse mortgages are a scam. It takes very little effort for anyone to research how reverse mortgages work. The people in this story who lost their homes have nobody to blame but themselves. These same people are the type who also default on credit cards and other loans. Sheesh. Although the writer is correct that tax and insurance payments must be maintained with a reverse mortgage, just like any mortgage, there are egregious errors in this article. The reporter completely missed, and in fact misrepresented the primary consumer safeguard attached to all reverse mortgages : the heirs have no responsibility whatsoever for a loan that is underwater, including taxes and insurance. The loan documents state that no deficiency judgment may be taken against the borrower or his estate. If the heirs wish to retain a home, however, then bringing homeowner obligations up to date is a normal unfolding of transferring ownership. If the loan exceeds the value of the house, the heirs may acquire it for 95% of the appraised value. Glad to see Bridge covering the problem of reverse mortgages! So much advertising about their merits, on TV and in the media. Many people don't realize that a reverse mortgage doesn't deduct for taxes. Detroit Eviction Defense has a brochure outlining some of the issues people should consider BEFORE signing up for a reverse mortgage. You can find the information on our website and download the 2-sided brochure: http://www.detroitevictiondefense.net/archives/562. Another in a long line of articles about reverse mortgages that tell half the story or contain misinformation. There are many rules and protections in place, none of which are mentioned. Are people so anxious to write about something and simply fail to do any competent research? Obviously. It's like throwing baby out with the bathwater.